Yachting is a glamorous and global industry, but it’s also a pretty private one. In our line of work we’re always looking to gain more insight into it and provide unique info and stories to our followers. We’ve had the chance to connect with Daniel Barber, from the UK-based yacht charter company AquaCruise, who has given us a look into his work and the world of luxury yachts. LuxuryBranded: Hi Daniel, getting straight into it, how would you describe your company, can you give us a bit of a background? Daniel: AquaCruise is a yacht brokerage, and we’ve been in business and incorporated for well over a decade now. Whilst we do buy and sell yachts, our main focus is actually in broking luxury yacht charters rather than yacht sales (our sales activities are generally passive, driven by exiting clients or ex. charter clients, rather than actively touting for new business or marketing yachts). In short, this means that we act as agents between yacht owners and yacht clients wishing to rent a yacht (usually for holidays) and earning revenues from commissions on arranging these rentals. The work is varied and very involved, from the obvious negotiation of a deal; to the less obvious points of itinerary planning, crewing, provisioning of yachts, menu planning, acquiring fine wines, arranging excursions and professional services, taxation, international maritime law, insurance; to name just a few areas…..the job is often more involved than first meets the eye! 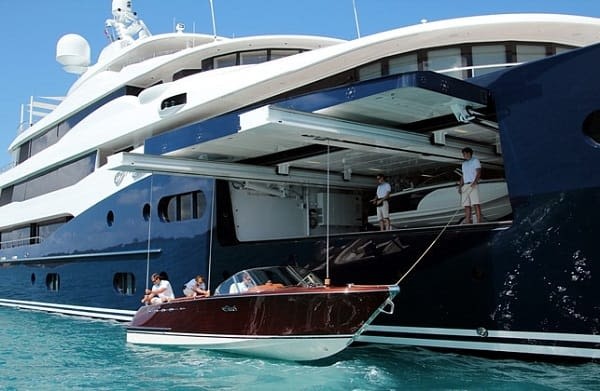 We also manage some larger yachts on behalf of our client owners. LuxuryBranded: Could you describe a typical luxury yacht charter client? Daniel: Actually there isn’t really a typical client; I suppose the only thing that our clients have in common is money! This is a luxury industry, with clients typically spending between €20,000 to €250,000+ on a week’s holiday so it does imply a level of wealth and we are normally dealing with high net worth individuals. 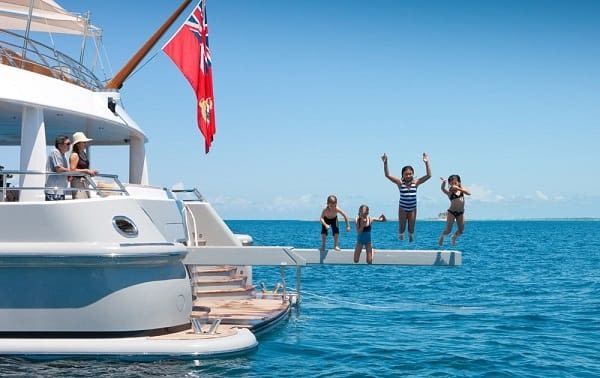 That said, we do also have a number of middle-class clients who either split the costs by sharing a yacht with friends and family, or who opt for a smaller crewed sailing yacht – which means costs are akin to that of a luxury holiday resort. At the top end of the scale we have a regular client who spends €1 Million each and every year on two to three weeks holiday! The individual’s themselves are as varied as the come, from A-List celebrities to Forbes cover businessmen, from Royalty to a tattooed Hells Angel biker in ripped jeans who just happens to have over a hundred million USD in the bank! All are united by the biggest appeal of chartering a private yacht – total freedom and the most exclusive and private retreat that money can buy. It’s a bit like having a private island, an independent state; except that you can move it each day (or at night) if you get bored with the surroundings, or if you want to get away from the crowds! LuxuryBranded: So how did you first get into the yachting industry? Daniel: That’s an easy one, I’ve never not been in it! The first photos of me in yachting are pictures of my expectant mother aboard the family Grand Banks…my parents went cruising around the Mediterranean for 6 months during the summer of 1977, and I was born two weeks after returning back to terra firma (there is talk that I was nearly born at sea!) Ever since I can remember the family was cruising every year, including the British Isles, Spain and the Balearics, the French Riviera, Corsica & Sardinia, the Amalfi coast and the Aeolian Islands, the Caribbean, the Bahamas, and the Florida inter-coastal. In fact at age 7 we spent nearly a year in Florida and the Bahamas; we did the complete trip around Florida, from Tampa round to Halifax round the coast, and then through Lake Okeechobee on the return trip. We lived in Antibes for several years and owned a mooring in Port Vauban, so the south of France is where I call my yachting “home”. My father changed yachts regularly (typically motor cruisers around 20m in length), so without me realising I gained considerable experience over the years. Unfortunately I lost years of schooling to yachting, but I don’t think it was to my detriment! These days, my wife and I go cruising every year with our kids, and until recently we owned a 14m sailing yacht based in Antibes, and now own a motor boat in the Solent. 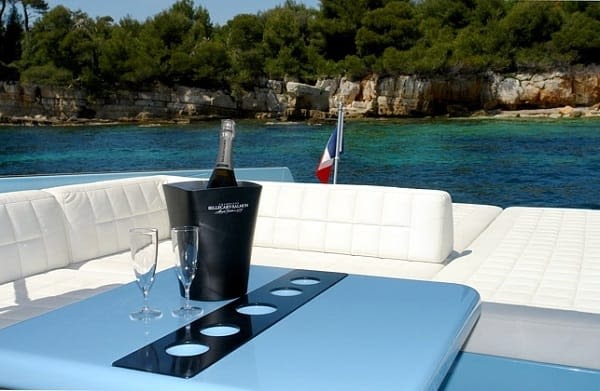 LuxuryBranded: Being in a luxury niche like yacht charters, competition must be tight. What makes AquaCruise stand out? Daniel: In our case, small is beautiful. We are an intimate company, meaning that everything that we do is bespoke and tailored to our clients. Our clients only ever deal with a senior broker (usually myself!) from start to finish, whether it be concluding a multi-million Euro deal, or simply arranging a table for lunch in a favourite port restaurant – it will all be personally taken care of by the same person to ensure consistency throughout. 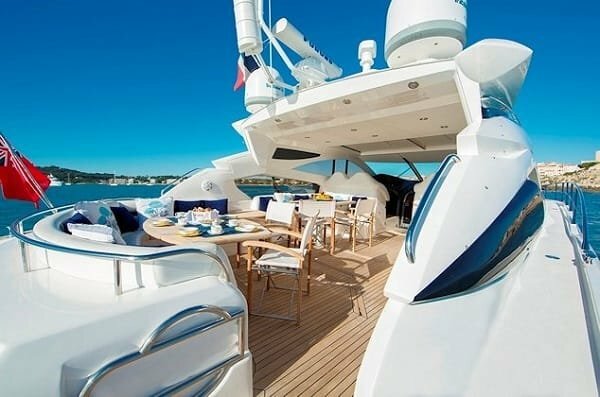 We all have extensive direct yachting experience – owned yachts, chartered yachts, hired and fired crew, bought yachts and sold yachts – this experience is invaluable. We are also UK based which, rightly or wrongly, we find that many of our clients prefer to deal with a UK based company rather than a company on the continent (this particularly applies to our UK, US, and Russian based clients). There is (generally) an international view of London as a place of integrity, and a place to do business securely. In our case that is very true!! LuxuryBranded: What’s the bulk of your business? Daniel: Our main area of business is the charter of modern luxury motor yachts and sailing yacht charters from around 20m to 60m. We generally stick to modern yachts (less than 5 years old), and high levels of luxury. We specialise in the west Mediterranean (specifically the south of France) but cover a wide range of destinations including Croatia, Greece, and the Caribbean. LuxuryBranded: What do you do day to day, mainly in the office or do you have to get on-site with clients? Daniel: Each day is very different indeed! Being a small company, I get involved in EVERY aspect of what is going on. One moment I am dealing with the mundane administration of any business, and the next moment a have a call from a VIP client needing a 50m for next weekend, and I need to get to the other side of world yesterday to get it arranged and be ready to welcome him aboard! Whilst challenging, it is all very exciting stuff, I’m often looking after people who are running world affairs, the “movers & shakers” or modern society. LuxuryBranded: Have any future plans for the business you can share? Daniel: That’s an interesting question actually; back in 2007 we did inject some investment into the company and started an expansion plan. This involved additional staff, new premises, and a considerable marketing campaign. Whilst this was very successful, the result was that we lost some of our USPs – that intimate first hand approach to all our clients. Coupled with the downturn of 2009, we actually reverted back to our original model in 2010. So really, the future for AquaCruise is much the same of what we are offering now; if it’s not broken, why fix it, and we intent to stick to our successful model. LuxuryBranded: Thanks for your time Daniel, we appreciate getting an insider view into your industry. We’ll just keep dreaming of becoming one of your clients, but if anyone wants more info visit AquaCruise.com and follow them on Twitter and Facebook (and don’t forget to invite us! ).